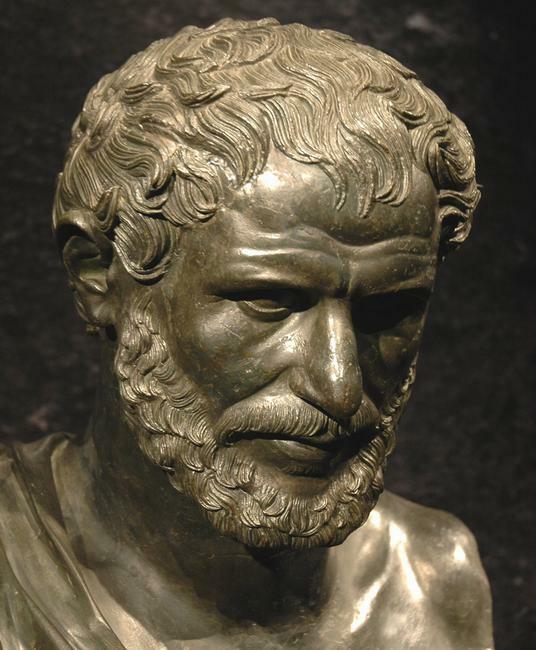 Heraclitus was born in Ephesus, an important ancient city located on the Ionian Coast, in about 535 BCE. Living relatively close to Miletus, the birthplace of westernphilosophy, he undoubtedly would have been familiar with Thales and the rest of the Milesian school. It is likely that Heraclitus would have been born to aristocracy. His casual disregard for the masses would seem to suggest he favored a political system that entrusted power to a handful of wise leaders rather than a free for all democracy like the one born to Classical Athens. While the life of Heraclitus remains something of a mystery, his ideas are a topic of endless fascination for hungry philosophers such as ourselves. 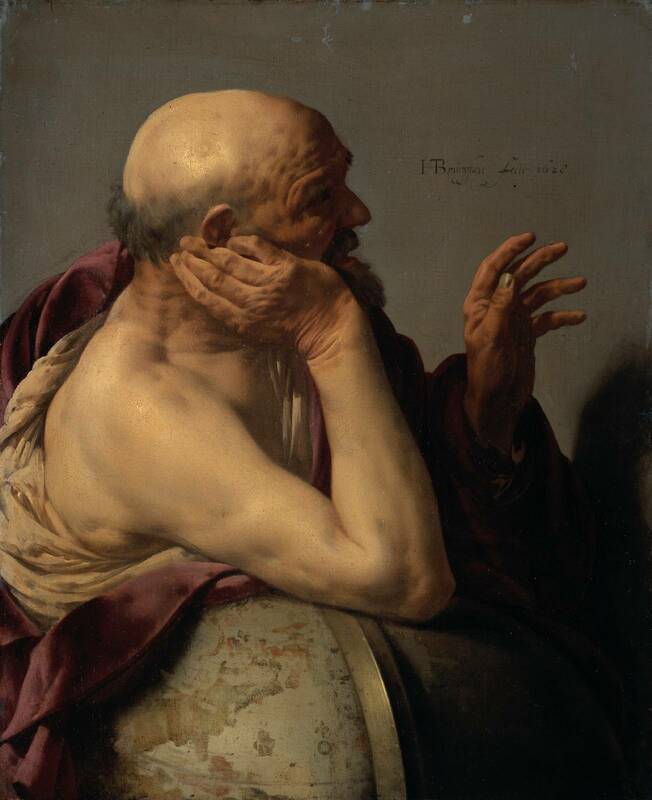 Heraclitus was rather critical of his predecessors as well as much of humanity in general. He tells us that we are like children, fumbling around in the dark, clueless to the true nature of reality. We remain pathetically oblivious to truth, even when we experience it every day. Heraclitus compares our inability to realize the true nature of the universe to a man waking from sleep, unable to recall his dreams. What is this truth that remains just out of our grasp? 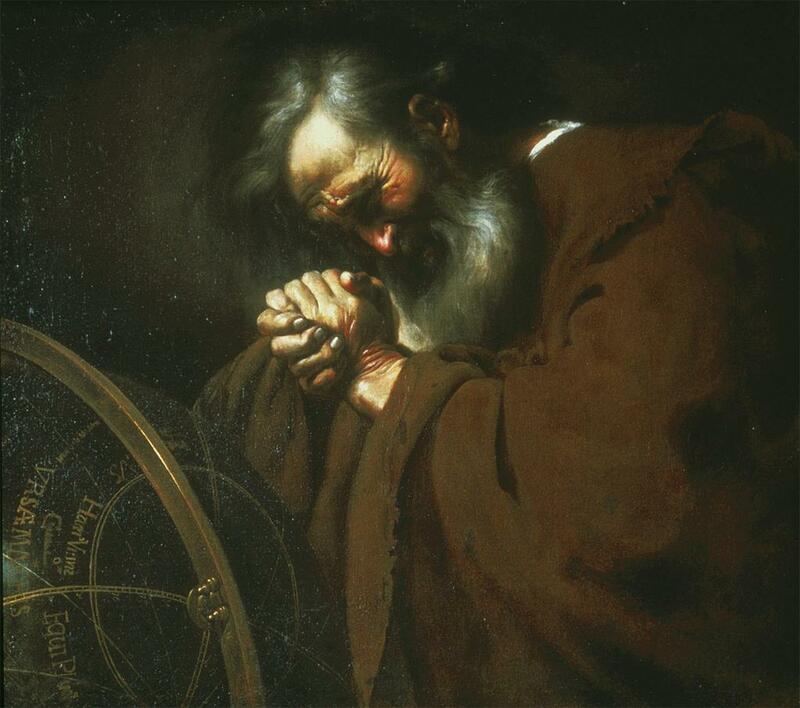 For Heraclitus, it was a divine Logos. Normally referring to an account of reason or a logical argument, Heraclitus’ Logos takes on a rather different meaning. It represents a unifying principle, an underlying constitution for all things in all places. This divine Logos, or law of the universe, centers around the idea of eternal flux, that things within the universe are constantly changing. Heraclitus explains this flux by examining the unity of opposites. It can be found that all things undergo transformations so that they may become their opposites. That which is hot will inevitably become cold. Every life is guaranteed death and with each death, there can be found new life. This idea of a unity of opposites is often misunderstood to mean that opposite things are identical. This would seem to violate the rather important law of non-contradiction. Indeed, if we are to believe that opposite things are the same, then we end up in the rather murky waters of logical inconsistency. To avoid this pitfall we must understand that opposite things are not identical, but rather they are transformationally equivalent. By this Heraclitus means to say that something may change to its opposite and vice versa. In this way, opposites are interchangeable, not identical. All things are caught up in an endless cycle of change, transformation, and rebirth. It is this notion that is at the heart of Heraclitus’ doctrine of flux and his divine Logos. Another important distinction that we must make about Heraclitus and the notion of universal flux is that it departs from the metaphysical traditions of the Milesian school of Thales of Miletus. Thales, although we love him dearly, was asking very different questions than the ones put forth by Heraclitus. Thales was looking for an underlying principle within the universe. Known as an Arche, this one thing would be the first substance from which all other matter was built upon. For Thales, this first substance was water. The difference between Heraclitus and Thales is that while Thales was looking for a physical substance that all matter was built upon, Heraclitus was more interested in an underlying pattern or principle that put the universe into manageable terms. As we have seen, this principle was Heraclitus’ doctrine of universal flux. It is important to keep this in mind, because Heraclitus describes the world, rather dramatically, as an “everliving fire. Heraclitus does not mean to say that all things literally come from fire. Instead, this world order, much like fire, is constantly changing, transforming eternally. This leads us back to the doctrine of flux. It is not unreasonable to say that fire is the physical incarnation of the abstract notion of a universe with constantly shifting elements. To help explain this, we will look at what is known as “the river paradox.” Basically, the paradox tells us that it is impossible to step into the same river twice. This is because as soon as you step in a river, the water moves downstream and the composistion of the river has changed ever so slightly. This is not to say that the river insofar as it is a river has changed. It is the elements that make up the river that have shifted. In fact, it is only by virtue of having constantly shifting water that the river exists as a river rather than a pond or a lake. Similarly, the universe remains harmoniously stable even as the elements within undergo constant transformation, and it is only by virtue of these constant changes that our universe exists in the way that it does. This fiery world order, despite how it may sound, is not chaotic. This constant flux, this transformation of opposites, is not in conflict. Directly contradicting Anaximander, Heraclitus tells us that these opposites exist in harmony with one another. Without night, there could be no day. It is only with experiencing some sicknesses that we fully appreciate health. And it is the prospect of death that compliments life, giving it a measured potential within the world. heraclitus bustAdditionally, there is no beginning, nor is there an end. Our divine Logos was not created by man or God. It has always been and will always be. A continuous balance of opposing forces, this world order is not a path to travel. Instead it is a cycle that all souls exist within, where the way up and the way down can be said to be the same thing. The ideas of Heraclitus are far from simple. Heraclitus speaks of a divine Logos that conducts the universe like a maestro might conduct a symphony. The philosopher tells us of a world order blazing like a fire, where the transformations of opposites creates a world in perfect harmony. The ideas of Heraclitus are rather similar to the concept of yin-yang within the Chinese philosophical tradition where seemingly contrary forces are interconnected and interdependent. Here we will leave Heraclitus. There is more we could discuss, such as his ideas on the application of the divine logos to moral philosophy. However, we will save that for another day. For now, let us be content with our glimpse into a universe that is both ever-changing and eternal, both extraordinary and confounding. Hi there, and happy holidays. Er, I was going to quote this essay for a Wikipedia article, because I believe in Reliable Sources, but the only author I can see is someone named Socrates. Since he predates the Internet, I just can’t use the great writing here. That’s too bad. The author’s name is Van Bryan. Plato is just the admin for posting. Thanks!